The soccer news starts with the newest members of the National Soccer Hall of Fame. At the induction ceremony on Saturday in Frisco, players Brad Friedel, Tiffeny Milbrett, and Cindy Parlow Cone joined the Hall. 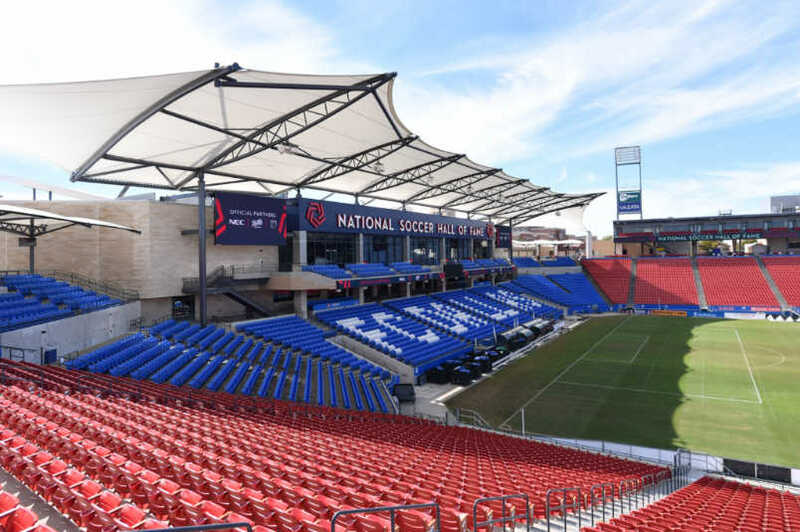 This was the first induction at the new National Soccer Hall of Fame facility that forms part of Toyota Stadium. During his induction speech, Friedel talked about what it was like as an American player trying to break into the Galatasaray squad in the mid-1990s. "My first week there, I walk into the locker room, I sit down – you were only allowed three foreigners at that time – and one of the players who speaks a little bit of English comes over, sits next to me and puts his arm around me. And he says, ‘That’s my best friend over there.’ And it was the other goalkeeper. He goes, ‘You’re not wanted here, you’re not needed here.’ And that’s the welcome. So very early in my life and very early in my career, I knew what it took and I knew I had what it took inside to persevere through those times." Moving to MLS, with one week left on the schedule only Montreal can disrupt the Eastern Conference standings. In 7th-place, Montreal is two points behind 6th-place Columbus for the final playoff spot. Montreal is on the road in New England on Sunday, with all 11 games set for 4:30pm ET. Columbus hosts Minnesota United. We still control our destiny, so I guess that’s a positive," Columbus midfielder Wil Trapp said following the 2-1 loss at Orlando City. "But, we’ve got one game that we have to win." In the West, it's the 7th-place LA Galaxy as the only team that can shake-up the playoff picture. They trail 6th-place Real Salt Lake by a point. The first tiebreaker in MLS is number of wins, with RSL at 14 to LA's 13. With Real Salt Lake's regular season already over, the Galaxy has the postseason to play for at home against Houston. We are all Houston fans now. Cleveland Business's Kevin Kleps looks at the Browns ownership's attempt to keep the Crew in Columbus. The Detroit Free Press's Vince Ellis reports on the apparent end of a plan to add a retractable roof to Ford Field for an MLS expansion team. World Soccer's Tim Vickery looks at the logistical problems of adding Liga MX and MLS teams to the Copa Libertadores. Soccer America's Mike Woitalla interviews new Las Vegas Lights coach Eric Wynalda. BBC Sport's Dan Roan on what England's Football Association will do for grassroots soccer now that the Wembley Stadium sale is off. The Guardian's Jonathan Wilson has a tactical solution for Manchester United. The NY Times' Rory Smith profiles Manchester United's Marouane Fellaini. Bundesliga Fanatic's Travis Timmons tries to figure out FC Nurnberg. The Vancouver Whitecaps picked up an unlikely first win of the season, shutting out LAFC at home but a fan protest speaks to the larger issues at the club.